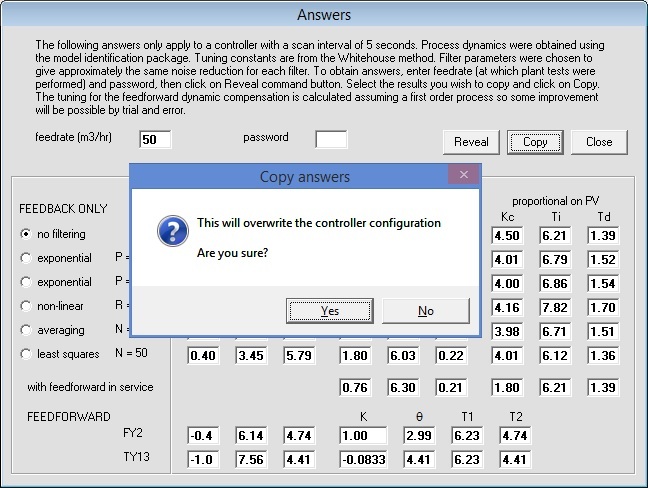 This allows the user to identify process dymanics from plant testing and to tune a simple feedback controller using a variety of techniques. 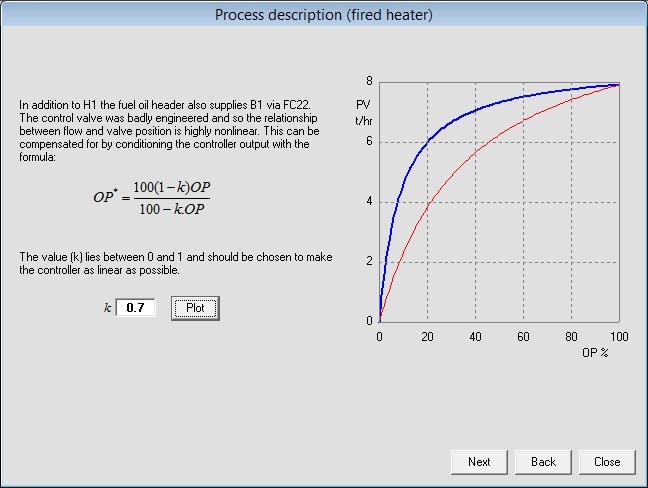 Both proportional-on-error and proportional-on-PV algorithms can be tested with both setpoint and load changes. 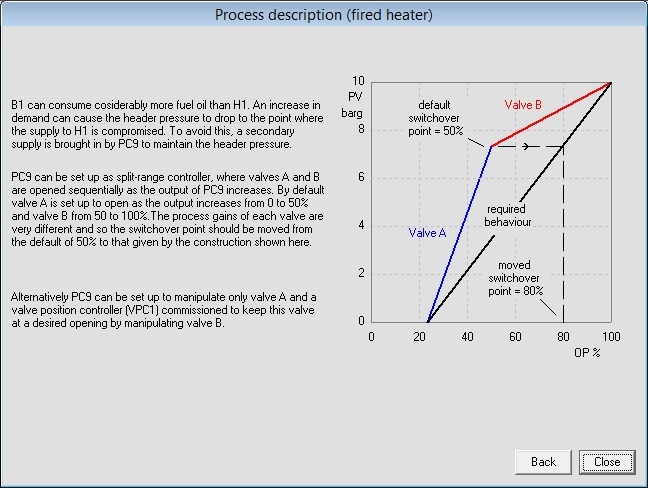 The user is also shown how to set up both ratio and bias feedforward control. Measurement noise and a variety of filters can be added to explore the impact on control performance. 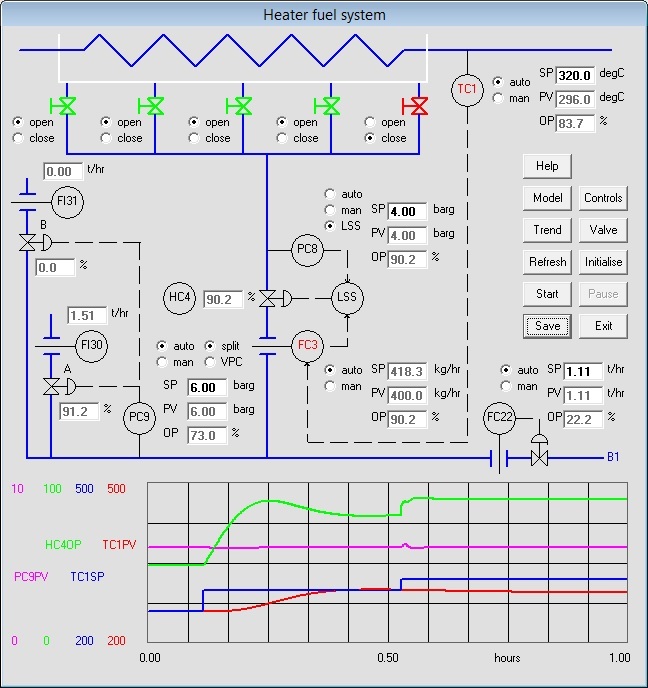 By switching burners in and out of service the user can explore the importance of cascade control and the purpose of anti-reset windup in both cascades and signal selection. 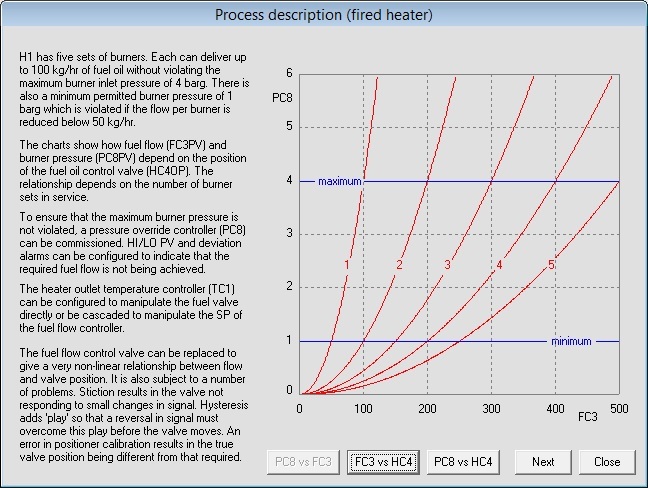 A range of control valve problems (non-linearity, stiction, hysteresis and poor calibration) can also be demonstrated. 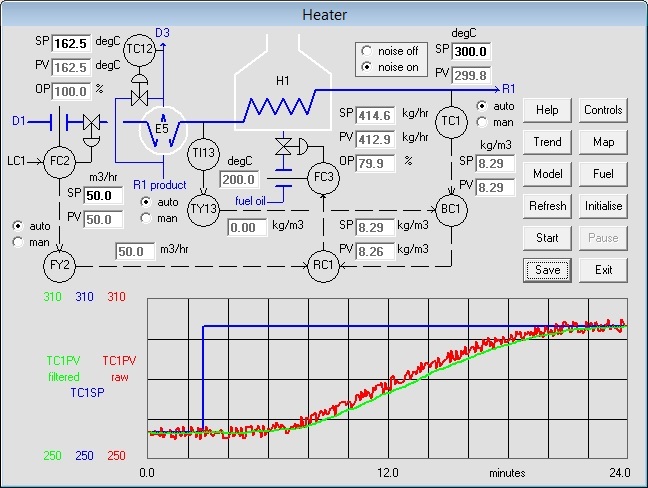 The user can apply output conditioning to comepnsate for highly nonlinear control valves. The fuel oil header pressure controller can manipulate two valves as a split-range controller, or can manipulate one with the addition of a valve position controller to manipulate the other to maintain the pressure controller output at the required value.